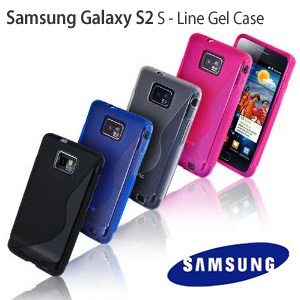 Designed to precisely fit the Samsung Galaxy S2 case High elasticity. Excellent abrasion resistance. Very good tear strength. Good oil and grease resistance. Excellent mechanical properties. Rubber like elasticity. Outstanding low temperature performance. Designed to precisely fit the Samsung Galaxy S2 Protect the LCD screen from dirt, grease, scrapping and abrasion. Anti Scratch. Easy Removal with No Adhesive. Will not leave residue as no adhesive involved. 3 layer technology. Ultra clear and provides great clarity. Easy to install and comes with screen polishing cloth. I had a look at a number of cases and thought I'd give this one a go - how glad I am that I did! Got the item within 3 days, popped the phone straight in within seconds. It fits the phone spot on, gives extra grip and protects all the edges and corners nicely. The cut outs for the different sections of the phone (headphone jack, mic, etc.) are very neat and don't seem to hinder the ability to get to them at all. The camera is nicely protected and the back design is very nice (looks like the "S" that you see when the phone starts up". Overall, very pleased and can't seem to fault it...yet.